In 1944, Franklin Delano Roosevelt gave a State of the Union Address that was arguably the greatest political speech of the twentieth century. In it, Roosevelt grappled with the definition of security in a democracy, concluding that "unless there is security here at home, there cannot be lasting peace in the world." To help ensure that security, he proposed a "Second Bill of Rights" -- economic rights that he saw as necessary to political freedom. Many of the great legislative achievements of the past sixty years stem from Roosevelt's vision. Using this speech as a launching point, Cass R. Sunstein shows how these rights are vital to the continuing security of our nation. 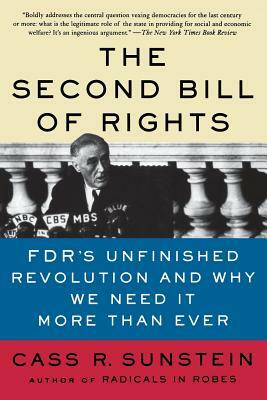 This is an ambitious, sweeping book that argues for a new vision of FDR, of constitutional history, and our current political scene.